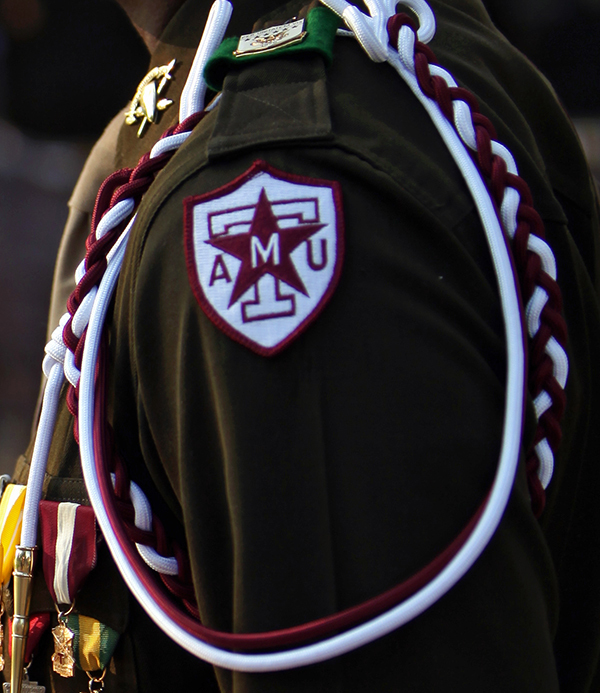 Every semester, the Office of the Commandant of the Corps of Cadets at Texas A&M recognizes current cadets who achieve academic excellence. One of the most recognizable ways the Corps of Cadets awards such an achievement is through a gold or silver star worn above the right pocket of a cadet’s uniform. Gold stars are awarded to those who post a 4.0 GPR with a minimum of 12 hours from the previous semester. Silver stars are awarded to cadets earning a 3.5 GPR. The star is presented after semester grades post. Each cadet is authorized wear their star for only the following semester, unless it is earned again. We are proud of our cadets who earned their academic stars through hard work and academic success in your college as members of the Corps of Cadets. In addition to the many academic resources available to cadets, we recently completed construction of 2 additional Leadership Learning Centers on the Quad. These 4 buildings allow our cadets to study, work with groups, use computer labs, attend academic support sessions and pursue academic endeavors in the midst of their living and training environment. The LLC's serve as a constant reminder to the Corps’ commitment to academic excellence. Thank you for all you do to help our cadets achieve academic success! We hope you are as proud of these students as we are!